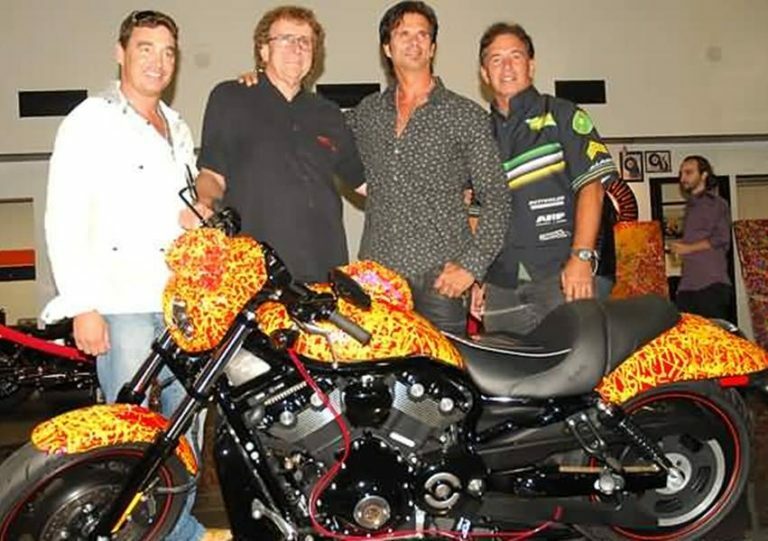 The first and most ICONIC motorcycle to have ever been painted by an artist. 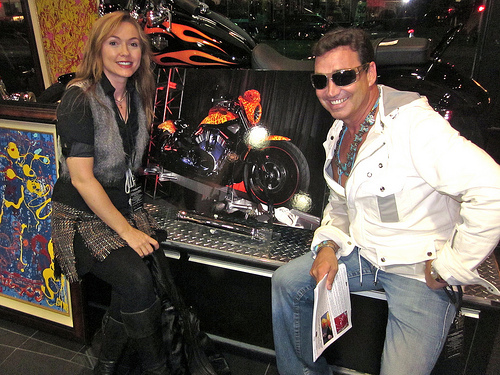 The Cosmic Harley Davidson painted by Art Rebel Jack Armstrong, is a flag ship seminal piece in his art portfolio. It is also part of his Art Triptych which includes two paintings. The Harley has been celebrated in every country across the globe and is world famous. The Cosmic Starship was privately sold in August 2012 after a 2 page issue of the Dupont Registry appeared internationally, it was publishes choice by THOMAS DUPONT himself. A select few bikes have tried to claim the Cosmic Starship's throne, The Ecosse ES1 for example which was actually never completed or sold. The Yamaha Golden Chopper listed for many years at half a million until recently advertised at 3.5 Million. The confederate Wraith has only ever been sold at 110k and never auctioned for millions as has been claimed. The same is true of the faked reproduction of the easy rider films captain america. Even the English Motorcycles found on some of the top lists at millions have never been auctioned on and proven list in the world. 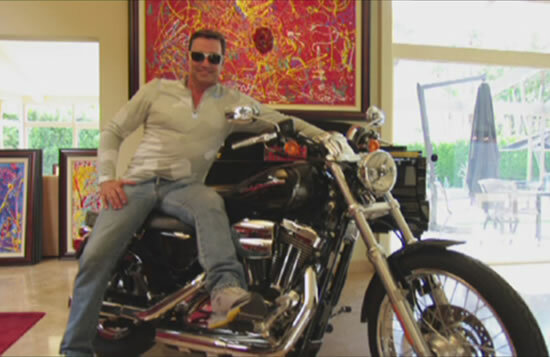 The Cosmic Harley Starship is now back for sale by the current owners for $15 Million Dollars, the bike is in pristine condition and is being offered as part of, or together with 2 of Jack Armstrong's most prized pieces. The Cosmic Firebird painting and Warhol Naked - his ART TRIPTYCH. An investor with pockets deep enough to foot the bill can expect astronomical returns in years to come as this collection is expected to be worth in excess of 250 Million Dollars.